Fantastic experience wedding dress shopping at Victoria’s Bridal Boutique. From the initial appointment to the last fitting everyone was so friendly and welcoming and such a relaxing atmosphere. The best place to find my perfect dress! At every step the team have been just lovely from the first phone call to picking up my dress and after the wedding too. They always know who you are when you call and remember all the details about my wedding. It feels personal and they always do everything possible to help and get things right. They have never tried to sell me something. I would recommend them to anyone. The only dress shop you need to go to is Victoria’s Bridal Boutique. From the moment we first stepped through the doors until the moment I collected my dress the day before my wedding the girls were amazing! I couldn’t have asked for a more enjoyable experience getting my wedding dress. They girls went above and beyond to ensure everything was perfect. They are simply the best and I cannot recommend VBB enough! From the moment I stepped in the shop I felt at ease which was hugely welcomed considering I felt thoroughly out of my depth and self-conscious at the mere thought of wedding dress shopping! Victoria and the whole team were thoroughly wonderful throughout the whole process from trying on dresses to buying my dress to the fittings and then finally collecting my dress the day before I got married. I would highly recommend Victoria’s Bridal Boutique. It’s no surprise they’re already multi-award winning and I have no doubt that will continue in the foreseeable future. The moment we met Vicky we realised she is special, she is just so lovely, soft-spoken, and clearly loves her job – something that seems relatively rare in bridal shops from my experience. She has also made sure to hire girls that are just like her, they are all superb and make you really feel special when at the store. I tried on quite a few dresses, and not being a size 8 I was so grateful that she stocks lots of different sizes of all the gorgeous styles. After I had chosen my dress it was a joy to go in for fittings and to get accessories, flower girl dresses, and a second dress for another reception abroad, we spent a bit of time here, clearly and my mum-in-law and I genuinely miss our little outings to the store. Vicky was one of the suppliers for the wedding that felt more like a friend and we feel like shouting from the rooftops how amazing Victoria’s Bridal Boutique is! I was recommended Vicky when I was let down by another bridal shop. It was just over 4 months until my wedding day and with not lots of time to play with I was understandably worried. Vicky was amazing from the minute I walked into her shop. She made me feel relaxed and comfortable and she really really knows her stuff! The boutique has the most beautiful range of dresses I’ve seen and I’m so in love with my wedding dress from Victoria’s Bridal Boutique! I would recommend Vicky, her team and her shop to every bride! They will look after you from start to finish. Don’t waste your time going to other shops. I had an incredible experience at the shop. Although my budget was slightly lower than most, I never felt disadvantaged or worried as the whole team were professional and friendly at all times. They were always on hand for questions and last minute appointments (even the day before the wedding when I panicked and thought I didn’t fit into my dress!) and I would highly recommend them to anyone – however far you have to travel. A joy from start to end! Vicky and her team were absolutely brilliant. I first went with my Mum, Sister and a bridesmaid to look at dresses and had been putting it off for a long time as I was really dreading being able to fit into all the stunning dresses. Vicky and her team made me feel at ease and I was able to find a dress that felt perfect. I had been to one other bridal shop where the owner had not really cared and was quite standoffish so Vicky’s boutique was the clear winner. The dress was altered to fit me by Sonja who was brilliant and I had a few more fittings to ensure the dress was perfect. The dress was steamed and ready to be picked up the day before. Vicky had even given me a card to congratulate me when I collected the dress which was a lovely touch. My sister and my Mum were taught how to do up the dress and take it off which was invaluable on the day! We also purchased a couple of flower girl dresses which the team helped us size up as one of the little girls wasn’t in the country! I recommend VBB to any new brides in the area. The team make you feel so at ease and so special. My wedding was at Chilston Park in March 2018. From the moment I walked through the door Vicky and her mum made me feel incredibly comfortable and relaxed. This was the 5th bridal shop I visited and what a gem I had found! It is very unpretentious and Vicky is so friendly and down to earth she puts you at ease immediately! I found the perfect dress and veil in no time at all. Several months later I returned for the fittings and really looked forward to each appointment with Vicky and her team. Sonja did a superb job adjusting my dress and she even rectified an issue with the second tea length dress I’d bought (elsewhere) for the evening reception. Vicky also gave her expert opinion on the various accessories I’d bought and let me try them with the dress. From start to finish Vicky made the whole experience enjoyable and she was by far the best wedding supplier I dealt with – I would not hesitate to recommend. Thank you Vicky for your time and dedication. I am honestly going to miss popping in your shop! I first met Vicky and her team when I attended with my friend who was getting married the August before my October Wedding, and it was on this visit with my friend that I was absolutely blown away by the whole team. So much so that when I started my search for my wedding dress, and after three visits to other stores with no luck, I knew I had to attend Victorias Bridal Boutique. Vicky and the whole team were amazing and whilst they found me my dream dress and attended to my every desire, the reason for me choosing to go back there was due to the team. They know their stuff, they do not try to sell you anything, they are totally honest and most of all Vicky knows, she knows she knows. When I say she know what I mean is I had a dress in mind, that off the hanger did not look like the dress I had in my head, however Vicky knew and as soon as I put it on, i cried. It was the one. She was amazing, and its for that reason that if you are getting married, dont waste your time anywhere else. VICTORIAS BRIDAL BOUTIQUE and the whole team are AMAZING! Well what can I say about Vicky and her team? From the moment I stepped foot in the boutique to the moment I picked up my perfect dress, Vicky made the whole wedding dress journey the most enjoyable, stress free venture. Her attention to detail, knowledge of her stock and her ability to listen to her client’s likes and dislikes is simply amazing and ensured I found “the one” in no time at all. Vicky, her mum and the rest of the girls made me and my bridesmaids feel so special. The girl’s dresses were beautiful and Vicky knew straight away the style that would suit them all. 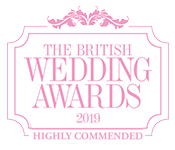 The team are certainly deserving award winners and I wouldn’t hesitate to recommend VBB to anyone and everyone on the hunt for their perfect wedding dress! Vicky and everyone at Victoria’s Bridal Boutique were brilliant in helping me choose my dream dress and making sure my accessories looked incredible too! They all made me feel so comfortable during the appointments and fittings and made the dress-choosing experience totally enjoyable and stress-free. I really wasn’t sure about wearing a veil but Vicky picked out just the right one and all my girls agreed that it was perfect for me! I felt amazing on my big day and would totally recommend Vicky for future brides! Vicky had been recommended to me by a friend and I have to say my whole experience has been amazing! She really cares for all her Brides… I only went to one place to try dresses on and it was here. Vicky found my dream dress the first time!!! From previous conversations she had a good idea what I was after and got it straight away. Vicky and her team are so wonderful and supportive, I have recommended her to everyone. From the first moment my mother, aunt and I walked in Vicky’s shop we new that we were going to be taken care of. She was so friendly and helpful with absolutely everything. She met us at the door with a smile on her face with the wonderful news that the shop would be ours to browse for the afternoon and I could try on as many dresses as I liked. Not only was she encouraging my mother and aunt to pick out whichever dresses they liked, but Vicky too made some wonderful suggestions that I would have overlooked – I believe she even chose the dress which I was married in. We had some alterations done (Vicky’s seamstress has magic fingers) and the dress honestly couldn’t have been more perfect for me! Thank you so much for all of your work – it was truly a delight to meet you and work with you! I could not recommend Victoria’s Bridal Boutique more strongly for bride’s to be- Vicky made the experience (one which I was initially apprehensive about) so enjoyable and relaxed, and she made me feel at ease throughout the whole time I was there. Vicky and her mum were so friendly and helpful, and they have such a beautiful collection of dresses in their store, which lots of different styles to choose from. It was such a wonderful experience and I had no doubt from the start that I wanted to buy my dress from their store! I have already recommended Victoria’s Bridal Boutique to lots of my friends, I really couldn’t fault their service in any way. Such wonderful and genuine people. I hope the shop continues to have a long and bright future! I am so grateful for all of the help that Vicky gave me in finding the perfect dress! I knew from the second that I walked into the store that this was the place I would find my dream dress. Vicky and her team were patient, kind and so friendly throughout the whole experience and made my mum feel part of the whole thing. Thank you very much Vicky! Vicky is probably one of the nicest people you will ever meet in the whole wedding planning journey. From the moment I spoke to her on the phone where she squeezed me into her already busy day for an appointment as she stocked the brand of dresses I liked, to the moment we stepped in the shop, she was helpful and friendly and instantly made me feel relaxed. With Vicky’s expert assistance I tried on numerous styles of dresses – even trying some on that I never thought I would put on and am so glad I fell in love with one from her store. Vicky and her team are an absolute pleasure to work with and I thoroughly enjoyed every visit to VBB’s. Sonja the seamstress is brilliant and between them they took care of everything. Words can not express just how wonderful Vicky and her team are. Vicky’s extensive knowledge of all things wedding dresses (and accessories!!) meant that choosing my dress was simple and easy and an absolute joy. I ended up with a dress Vicky chose for me and with help from Sonja (the wonderful seamstress who works alongside the shop) they really made it my own. I felt like such a princess on the day. The service provided by this shop is so professional and friendly, you instantly feel at ease. You will not need to go anywhere else as they have such a large selection of dresses and offer such brilliant advice. I just can not recommend Victoria’s bridal boutique more highly!! I just wanted to get in touch to say a massive and heart felt thank you for all your assistance with our wedding. From the moment I walked in the shop last April you were nothing short of amazing….helpful, patient and understanding – you really were great – as was your Mum. Needless to say everyone absolutely loved the bridesmaids dresses – they really looked amazing and I didn’t scrub up too badly either!! I’ll send you a couple of photo’s across when I get them through. I just wanted to say a big thank you first as I’m not sure what i would have done without you! Vicky was absolutely amazing! A true professional and expert in bridal couture! She made what could have been an overwhelming experience a really magical and enjoyable one and I cannot thank her enough. My wedding planning memories will forever be etched in my heart and selecting my dress would remain at the heart of this. I was bowled over by the beautiful selection of dresses on offer and when I came across the stunning Stella York designs I was completely sold! Thanks again Vicky for making my day unforgettable and providing a dress that to this day remains a topic of admiration and conversation !! The service we received when choosing my daughters wedding dress was outstanding . I am sure you agree every bride wants to feel special on the day and Vicky and her team ensured this would happen From the moment we entered the shop we felt comfortable and at ease . Nothing was to much trouble . Vicky is very friendly and really is interested in what you would like for your special day , not only for the bride but the whole bridal party . The bridesmaids dresses my daughter chose were also from Vicky we had so many compliments about them . Vicky is a truly gifted person who not only makes you feel extra special from the moment you walk through the door, but has a talent for knowing exactly what you are looking for. The best thing was she had so much time and patience and was great at suggesting something new to try! She makes you feel at ease and I felt so comfortable trying on different dresses. The shop is beautiful and the little extras, like a glass of bubbles, made all the difference! I ended up choosing a dress I never thought I would find and I want to say a HUGE thank you to you Vicky for all of your time!! I felt that I must write a personal thank you from myself for the whole wedding experience that we received from your shop! It was exactly as I would have imagined “buying the wedding dress” should be from the moment we stepped into the shop. The little touches like the offer of tea, coffee or Buck’s Fizz made it even more special and the way you went that extra mile to steam press the bridesmaid dresses that we hadn’t even purchased from you was fantastic and so much appreciated! I cannot thank you enough for the wonderful service we received from you and all your staff. You showed a genuine interest in all the dresses Steph selected to try and you gave your honest opinion without being at all pushy and that was most pleasing. We had visited two other shops before yours and I was so pleased when she found the dress she loved in your shop because I really wanted to give you our business over anyone else! I am pleased to have recommended a good friend to you and I think she is about to make her final choice hopefully with you too. Thank you so much for everything and I will definitely be telling anyone I know getting married to go to Victoria’s! Please pass my love and thanks to your mum too! Victoria’s bridal was the first and only place I went to when looking for my wedding dress and would defiantly recommend. Nothing is too much trouble for Vicky or her mum Tina and I felt very at ease at every fitting. I found a Lillian west dress online that I really liked so Vicky ordered a sample dress into the shop for me to try on as she didn’t have the particular dress in stock at the time. I found the whole experience with Vicky so much fun and stress free, I got my dress, hoop, veil, hair piece and four bridesmaids dresses from her and will actually miss going to the shop for fittings! I can honestly say I felt a million dollars on my wedding day and my dress was absolutely perfect. From the moment I stepped into Victoria’s Bridal Boutique I was instantly put at ease and relaxed with a glass of bubbles whilst looking through the dresses. I had found a dress online by Maggie Sottero that Vicky didn’t actually have in store but she was able to order in a sample for me to try. I was spoilt for choice with the selection of dresses and what was really refreshing about Vicky is that she gave an honest opinion and didn’t just say she liked everything I tried on. She pinned me into the dresses beautifully so I could get a really good idea of the fit, not like in some shops where they use a giant bull dog clip! My appointment wasn’t rushed and I could really take my time in each dress I tried on, picking accessories to go with my favorites. It was such a fun experience and my Mum, Sister and Mother-in-law were all made so welcome. I’m quite a decisive person and picked my dress on the first visit. Vicky kept me up to date with delivery times and my dress arrived about 6 months before my wedding. I had a couple of fittings to take up the hem (I’m super short) with the lovely seamstress Sonia. The whole process was seamless and my dress was the easiest thing on the wedding to do list. Vicky has the brilliant ability to make you feel completely relaxed and comfortable so you can be honest about what you are looking for and how you want to look. I couldn’t recommend this shop highly enough. They say a picture speaks a thousand words and the photos of me getting into my dress on my wedding day say it in abundance, it was just perfect, I look so happy and everyone said how ‘me’ the dress was. Thank you so much Vicky, best shopping experience ever! I am so pleased with the first class service I have received from Vicky. She genuinely really cares about each bride that walks through her door. She has a fantastic selection and knows exactly what she is talking about. I didn’t end up buying my dress from Vicky but she gladly had me back for all my fittings- hence I bought all my accessories from her and why I have returned many times with friends to choose theirs. I had a really amazing experience with Vicky. I had previously tried on a few dresses here but bought one in Birmingham instead where my family lives. The service was awful there and I was so stressed out as they couldn’t give me a date for when my dress arrived and the wedding was 2 months away. Alterations were on Tuesdays only which was hard for me as I live in London. I messaged Vicky and she was nice enough to schedule an appointment for me to see her and the seamstress. The dress was altered perfectly. She was really attentive and thoughtful. She made me feel alot more at ease. Even though I didn’t buy my dress from her, she still gave me her 100%. I couldn’t rate Victoria enough! From my first initial appointment to when I collected my dress Victoria and her mum were so attentive, always going the extra mile in helping me to fit appointments in, and were really helpful and honest in helping me find my perfect dress. They took such a load of stress of, and I really enjoyed the appointments as they gave you plenty of time and attention. Thanks for all your help! Everyone complimented the dress and it was just perfect! Victoria’s Bridal Boutique was the first shop I tried when starting to look for my wedding dress. I felt quite nervous about the whole experience, mainly because I had no idea what style I wanted. Victoria has a great ability of making you feel at ease yet being totally honest at the same time. She let me try on all the different styles to try and narrow down what shape worked best. Although on that occasion I didn’t find ‘the’ dress, a few weeks later she rang me about another dress that was new in and she thought might work, and it turned out to be the one I bought! Her attention to detail is amazing. From purchasing the dress, to advice about veils, shoes, hoops and even dry cleaning afterwards is invaluable. Having tried a few different shops, her service is second to none. Victoria makes the whole dress experience completely stress free. I would highly recommend to any brides! When looking for dresses I tried quite a few different shops. None of them compared to Victoria’s Bridal Boutique. All of the dresses in Vicky’s shop are stunning and everyone who works there makes you feel like a princess. The entire process was so enjoyable and I can’t wait to have a friend getting married so I can go back! I just want to say thank you so much for all of your help in helping me choose my perfect dress. I went to many shops and had bad experiences in quite a few. I warmed to you immediately, you didn’t pressurise me like other shops did, and I didn’t feel rushed on any occasion. It was a pleasure to come back each time for fittings, and you always made me feel like you had all the time in the world, when in truth, you were rushed off your feet. I would recommend Victoria’s Bridal Boutique to every bride to be. You’re in safe hands with Vicky and her mum who make you feel totally at ease throughout the whole process. From selecting the right dress, ordering my shoes, expert dress fittings, helping me get ready on the big day and cleaning my dress afterwards, they really go above and beyond to deliver the best service possible. I’m so happy to be married, but sad to have to say goodbye to these wonderful people. Thank you! Right from the moment I walked in, Vicky was the perfect blend of best friend/salesperson/fashion guru! After chatting to me about my wedding ideas, she picked out several different styles for me to try on. Her advice was personal and sensible, and it was clear that she and I were on the same wavelength from the off. When I found ‘The Dress’, we both squealed with joy: Vicky is not just pretending to be invested in your wedding, she genuinely wants you to find the perfect dress and won’t be happy until you are. Vicky remained an absolute delight from the start of the process until the day I picked up my gown, even opening especially for me whilst she was on her Christmas break. She really does make it personal. I only wish I could buy a dress from her every year! Thank you Vicky for helping me chose my perfect wedding dress for my special day 11.10.14. We had the most amazing day and everyone loved my dress. My wedding dress shopping experience has been amazing with you. Your professionalism and kindness made my wedding dress shopping experience one to remember. Thank you so much. What can I say about Victoria’s? It is an amazing experience from start to finish! As soon as you walk in, Victoria makes you feel at home straight away. I am absolutely distraught that I found the perfect wedding dress at a show as I really wanted her to be there throughout. So much so in fact, that I am going back to her for my accessories and Bridesmaids dresses. If you want 5 star service at reasonable prices and an honest opinion as opposed to the hard sell… Victoria’s is the one!! As I took my first steps walking into the boutique Vicky made me feel incredibly welcome, like a bride and very special. This is not a feeling I had felt in previous shops! Her advice and care made finding THE dress a truly special moment and was wonderful to share it with Vicky also. Thank you Vicky. When I went to Victoria’s I was just looking – just started thinking I would need a dress. Several dresses later, a great deal of incredibly insightful advice and recommendations later (that I wouldn’t have thought of)… I bought a dress there and then! Thank you so so much Vicky for your help in finding me my perfect wedding dress. I came to you 7 weeks before the wedding in a state as I hated the original wedding dress I had purchased at another shop about a year before and you calmed me down and let me try on practically every dress in your shop until we found the dress for me. Your honest comments and advice were exactly what a girl needs when shopping for a wedding dress and your customer service was second to none! The bubbles you gave me when I picked up my dress were appreciated by me and my bridesmaids on the morning of the wedding – such a thoughtful gesture. Alex and I had the most amazing day- even the weather played ball and we had a lovely sunny day where everyone could enjoy the beautiful venue. I wish you and your business all the success for the future – you were made to do what you do and I will recommend you to all of my friends. Vicky was amazing she made the experience very special and I can’t thank her enough for everything!! The only problem I now have is which dress to choose!! Vicky was absolutely brilliant! I wasn’t looking forward to wedding dress shopping but she made it a really enjoyable experience! She made sure I tried on almost every different type of style she had so I could see what all the different styles felt and looked like on me to help me make the right decision. She was a whiz at getting me in and out the dresses so it was pain free. She also really listened to what was important to me and tailored her advice and suggestions accordingly. Her honestly and advice was much appreciated when it came down to the final two. I cannot recommend her highly enough!